Translated from the Afrikaans, this book is published by Oneworld, and was one of the winners of the Book Trust Other Words competition for books in translation in 2017. 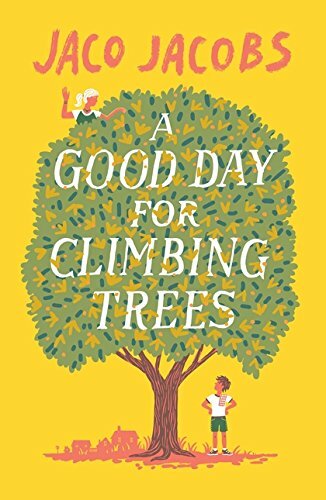 It is a low key humorous tale of two children, Marnus and Leila, who set out to save a tree in their local park which is going to be cut down to make way for a pipeline. The racial politics of a divided South Africa, with which we are possibly more familiar in this country, has a muted presence. John, the caretaker of the bowls club, who befriends the children, recalls how the “coloured people” of District Six in Cape Town, including his family, were driven from their homes by bulldozers and police. And, for Marnus, the resistance of John’s family becomes something of a reference point for his own struggle. Otherwise, this is a witty and well-drawn story of the affluent white suburbs. It charts the growing friendship between reticent Marnus and outwardly confident Leila and has fun not only with the red faced local government functionaries who come to remove the tree but with the student radicals who arrive to support the children. It’s expertly translated by Kobus Geldenhuys and given suitably humorous illustrations by Jim Tierney. It does worry me that there is not a single black character, however much this may reflect the reality of white suburban life. And there is an ambiguity in the conclusion. The eventual fate of the tree is perhaps an acknowledgement of how things might go in the real world. But the different happy ending that is provided for Leila might be seen as casting doubt on the primacy of the environmental concerns which were the ostensible initial motive for her campaign.